The Elite Core Audio OSP HS-09 is an omnidirectional condenser earset microphone. It provides excellent voice reproduction and high output gain for public speaking, singing, and theatrical applications. 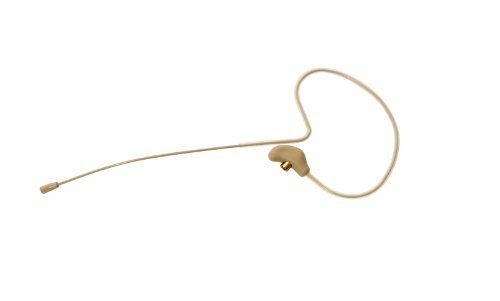 It is supplied with two detachable and replaceable 1mm diameter cables that securely screw into the headset with a threaded brass connector. The earset and cables are packed into a zippered pouch along with two foam windscreens. Models designed to fit popular microphone brands.